[S-1380948450] Ancestral File (R), The Church of Jesus Christ of Latter-day Saints, (Copyright (c) 1987, June 1998, data as of 5 January 1998). [S-1380640045] 1880 United States Federal Census, Ancestry.com and The Church of Jesus Christ of Latter-day Saints, (Online publication - Provo, UT, USA: Ancestry.com Operations Inc, 2010. 1880 U.S. Census Index provided by The Church of Jesus Christ of Latter-day Saints © Copyright 1999 Intellectual Reserve, Inc. All rights reserved. All use is subject to the limited ), Year: 1880; Census Place: Des Moines, Dallas, Iowa; Roll: 335; Family History Film: 1254335; Page: 181C; Enumeration District: 047; Image: 0365. [S-1380585031] 1850 United States Federal Census, Ancestry.com, (Online publication - Provo, UT, USA: Ancestry.com Operations, Inc., 2009. 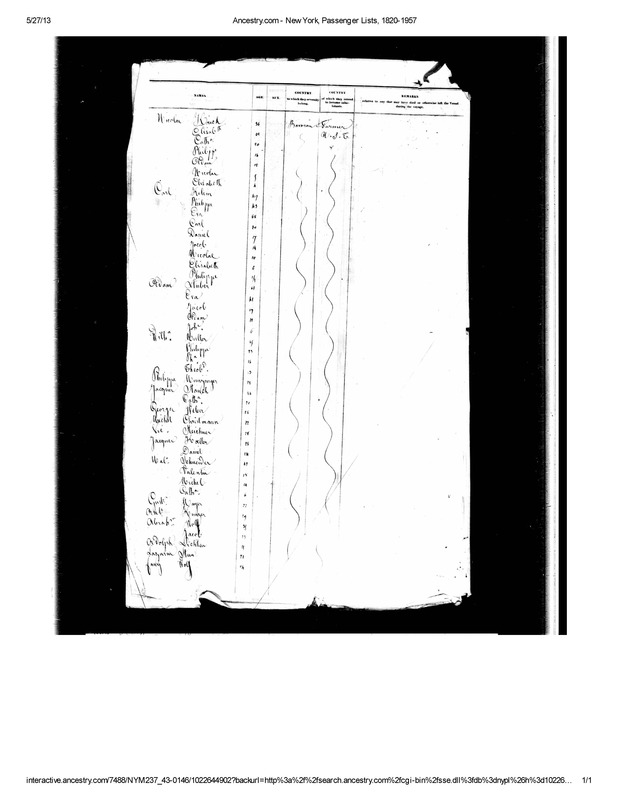 Images reproduced by FamilySearch.Original data - Seventh Census of the United States, 1850; (National Archives Microfilm Publication M432, 1009 rolls); Records of the Bureau of the ), Year: 1850; Census Place: Killbuck, Holmes, Ohio; Roll: M432_696; Page: 123A; Image: .